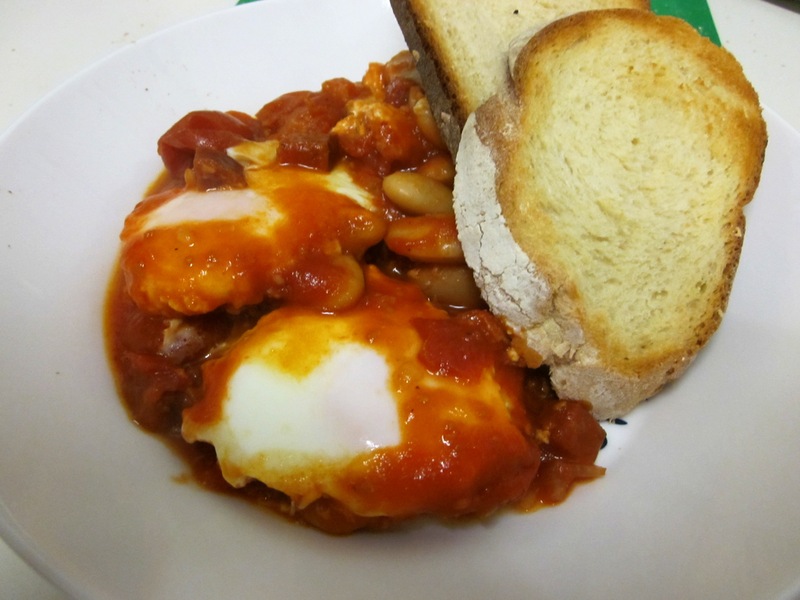 You will need a medium – large frying pan with a lid for this recipe. If you don’t have a lid, you will need to finish it off in the oven. Heat the frying pan on medium high heat. Add the chorizo and cook for 3-5 minutes until it starts to crisp and releases its oil. You shouldn’t need to add any additional oil. Once the chorizo has started to go crisp and golden, add the onions/shallots along with a pinch of salt and cook for approximately 5 minutes until they start to soften and brown (timing will depend on how large you cut the onions). 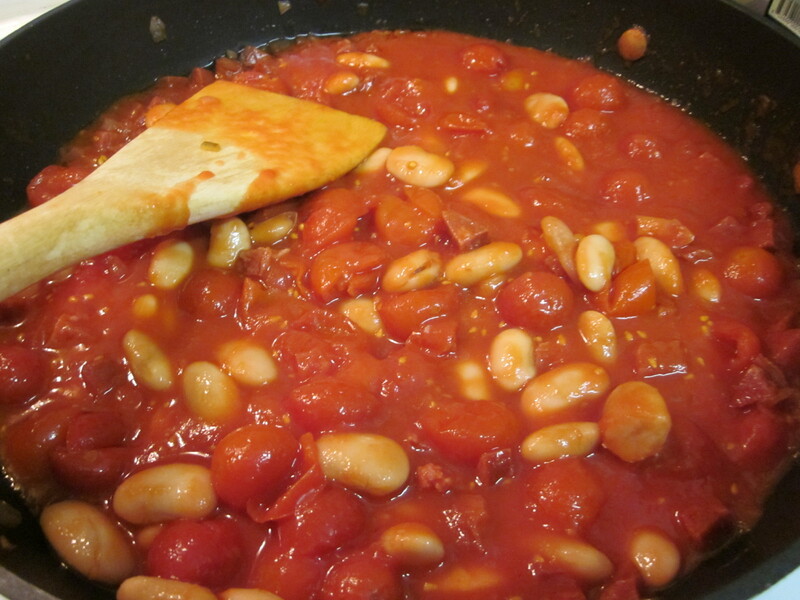 Once the onions have cooked add the tomatoes and beans. Squash most of the cherry tomatoes with the back of a wooden spoon and then simmer for 5 – 10 minutes until the tomatoes have broken down a bit more. Make four holes in the mix and add an egg into each hole. I like to crack the egg into a small bowl first and then add it to the mix as I find this easier. 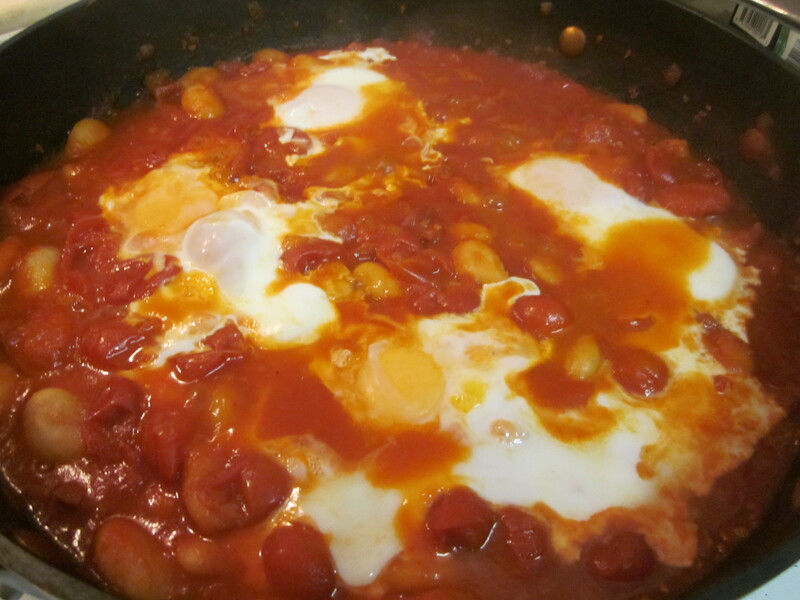 Cover the pan and cook for 7-8 minutes or until the eggs are cooked to your liking. Season with salt and pepper to taste and then serve. You could add some coriander at the end if you wish.